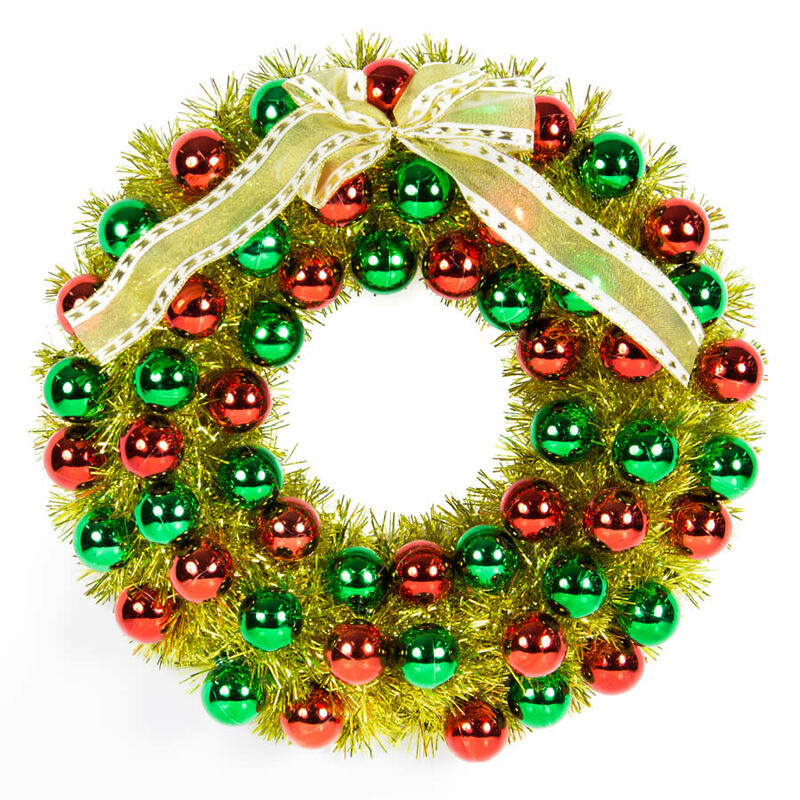 The 40cm Bauble Christmas Wreath is a riot of gold tinsel and red and green baubles topped by an oversized gold bow. 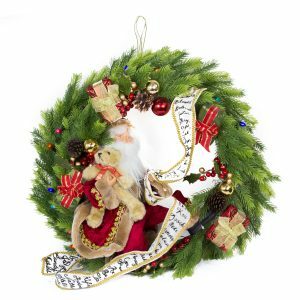 Dressed wreaths are an easy and convenient way to deck the halls this holiday, and this wreath has enough decorations for two! This wreath epitomises the fun and colour of Christmas. Forget the simpler pleasures of yesteryear, this wreath demands attention! This would be lovely on a mantle, front door or as a centrepiece for your Christmas table.